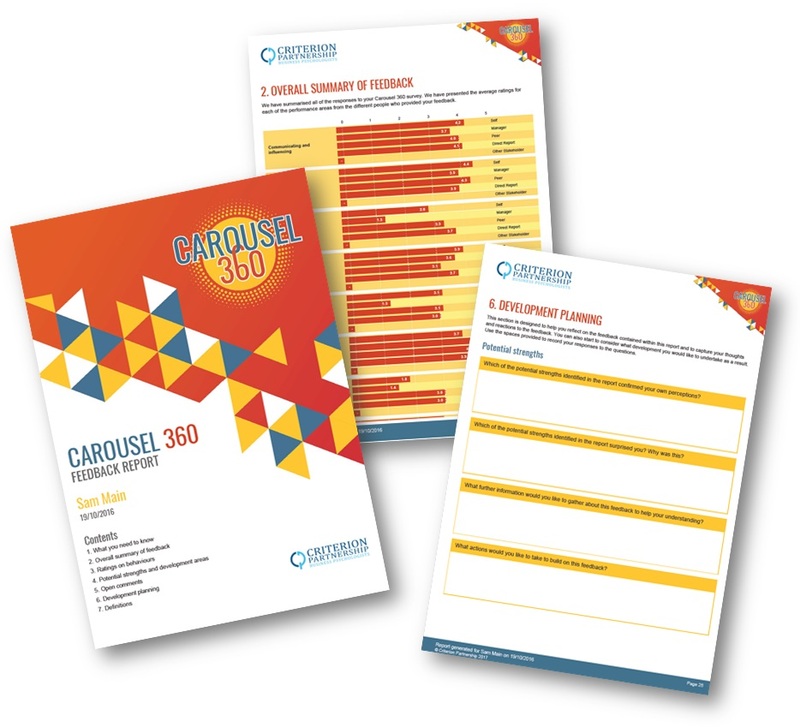 Our Carousel 360 reports have been specifically designed to present the feedback in a way that is easily accessible, with attractive visuals and intuitive reporting. 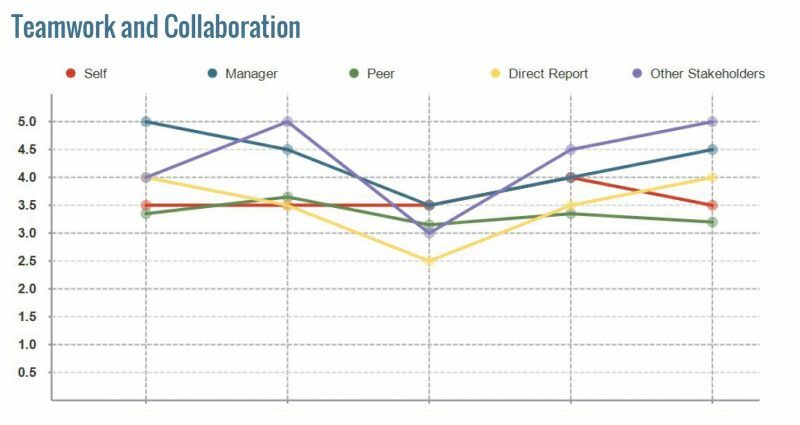 All reports are full colour and use high-resolution graphs and charts to display feedback responses in an engaging way. The different sections of the report are divided according to the chosen competency framework making it easy to review competence across the various elements of the job role. We recognise the importance of reporting for enabling employees to quickly and simply access the necessary information and begin utilising it within their development planning. We want you to get the most from your 360 process and so we aim to provide you with the relevant data in the most functional way possible. Our reports boast multi-dimensional feedback with an array of features including potential strengths, behaviour ratings and open comments. Designed to complement the breadth of response formats within the 360 survey, the reports can explore feedback across a range of dimensions, helping you to identify patterns and trends in the feedback. The report has been made easily accessible by highlighting and drawing attention to the main themes and overall summary of feedback on the first pages, before going into detail. Feedback is also presented according to your competency framework which makes it easy to relate back to the different elements of your role. 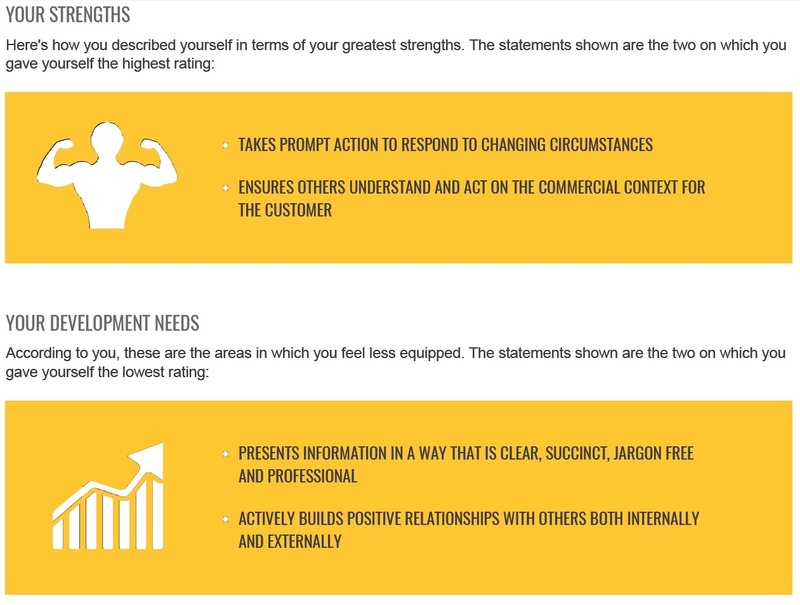 Our reports also offer flexibility in terms of the elements which they contain and personalised branding. You can determine your depth of analysis by choosing from an array of survey options to direct your output. Clear, concise and flexible. Our reports adopt an intuitive design which allows recipients to easily interpret the information and scoring. All ratings and comments are grouped according to the type of colleague, ensuring the anonymity of feedback ratings and comments. Reports are available to download instantly with your administrative access, or can alternatively be sent out to participants directly. All reports come with a free user guide to help recipients make the most of the process and to further aid interpretation of feedback. Our group report enables you to explore trends in employee performance across departments, work groups or demographics. This helps you to identify wider trends in competence and identify potential strengths and opportunities for internal training and strategic planning. Explore change in performance over time by looking at year-on-year comparisons across the same performance benchmarks. Our comparison tool helps boost morale by offering a visual representation of personal progression. Improves self-awareness and acts as an incentive for engaging in self-development. The 360 feedback report can be used as the basis of a development discussion with a line manager, internal facilitator, or with one of our Consultants who will act as an external facilitator – the choice is yours. 360 surveys provide a much more insightful and objective source of feedback than top down appraisals alone. Our 360 process is entirely transparent to encourage honest and objective feedback. This helps direct and enhance performance appraisals and goal setting. Our reports encourage self-management and active engagement from the individual. Our reports contain a section devoted to development planning, presenting some key questions for reflection. 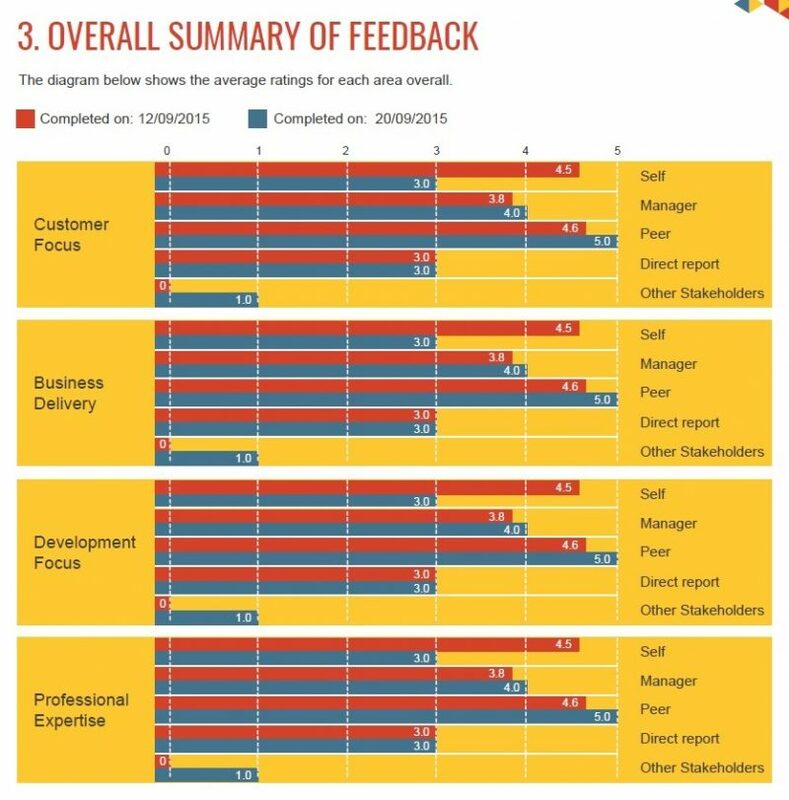 360 feedback has strong links with commercial performance, employee engagement and turnover. Reports help to reinforce the link between competencies, behaviours, values and effective job performance. The anonymity of 360 feedback encourages honest and insightful feedback than may otherwise be given face-to-face. Our reports can be used to identify organisational trends, training needs, and draw comparisons between employee groups for engagement strategy and goal setting.